Choosing a tripod can be an overwhelming experience, given how many different types and choices we are presented with. On one hand, a tripod is a very simple tool to keep our cameras steady when we use them in challenging light conditions. On the other hand, there are so many different variables that come into play when choosing a tripod: How tall should it be? How light should it be? How stable should it be? What kind of weight can it support? How much should I spend on a tripod? These are just some of the questions that might come up as you look into buying a new tripod. Before getting into the intricate details about tripods, I would like to go over the advantages and disadvantages of tripods and why you might need one for your DSLR or mirrorless camera. 1) Why Do You Need a Tripod? To increase sharpness and depth of field in your images by keeping the camera still in low-light environments when using slow shutter speeds. To rest heavy camera gear such as long telephoto lenses on the tripod. To increase the quality of the images by keeping the camera ISO low. To allow more careful composition, while framing the shot exactly how you want it. 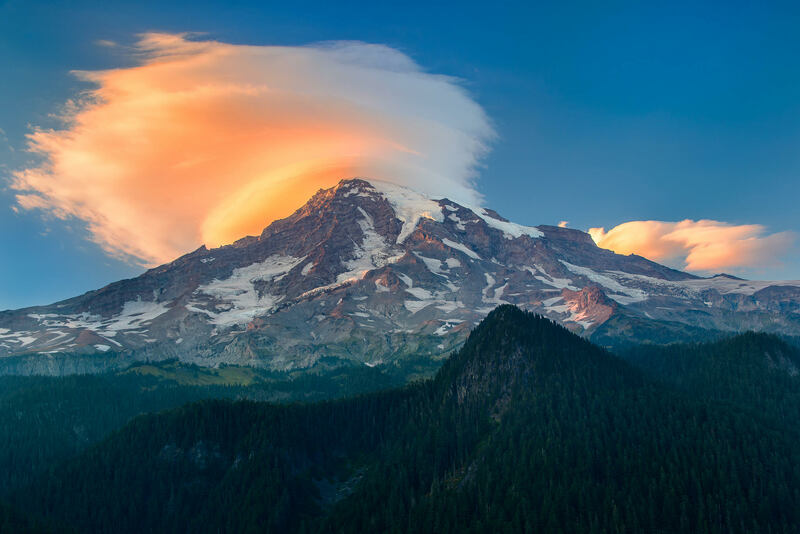 To shoot HDR and panoramic shots that require exactly the same framing and precision. To photograph nighttime objects such as the Moon, planets, stars, etc. as well as painting with light or using available light for landscape and architectural photography. To do self-portraits with a camera timer. To shoot extreme close-ups/macro (flowers, insects, etc). To hold various objects such as flashes, reflectors, etc. To shoot at difficult or impossible (hand-held) angles. 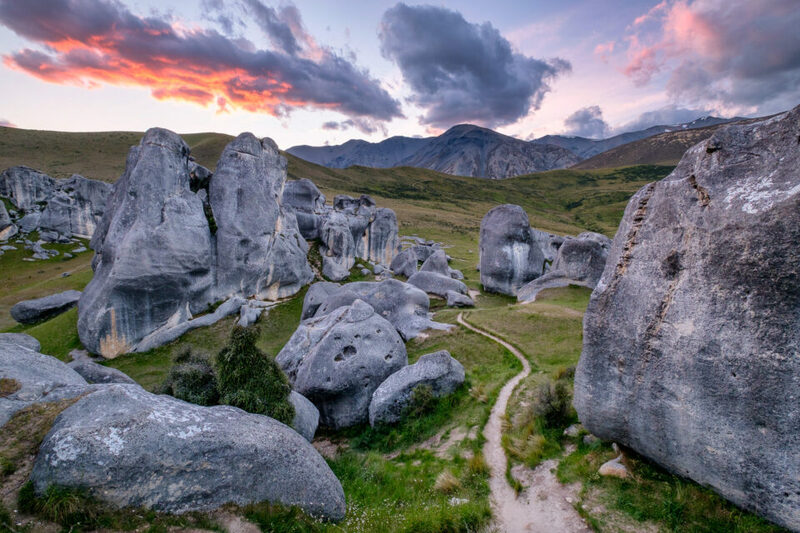 I personally use a tripod for one main reason – landscape photography. Shooting sunrises and sunsets can be quite challenging, especially when the light conditions are far from ideal. Thanks to image stabilized lenses and now cameras with excellent built-in image stabilization, the use of a tripod for most types of photography is not necessary when shooting in daylight conditions. However, some photographers still prefer to use a tripod, as it allows them to keep the camera ISO as low as possible, which not only keeps the amount of noise in images to a minimum, but also provides the highest dynamic range the camera sensor can capture. 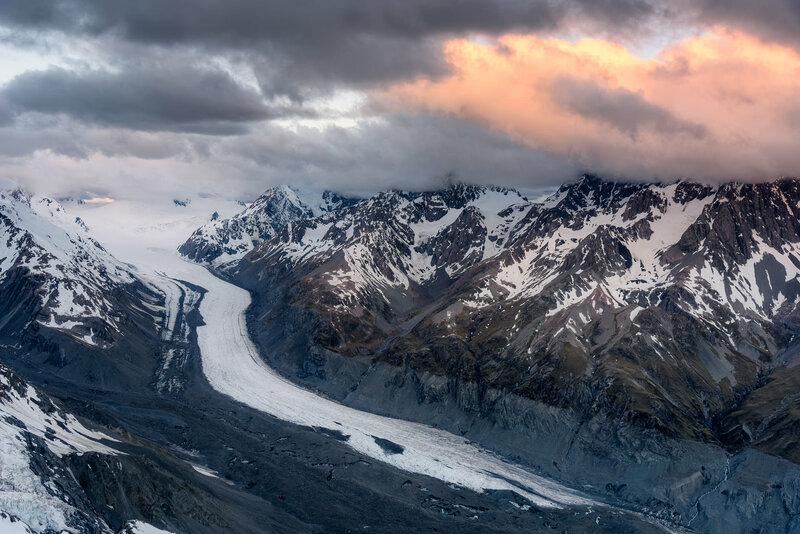 In addition, a tripod can help in proper framing of a subject and allow to capture panoramic and HDR images. Lastly, there are situations where one must use a tripod in order to slow down and blur action, such as when photographing streams and waterfalls as shown in the image below. Therefore, if you are into landscape photography, a good tripod is a must-have tool in the field. Occasionally, I might use a tripod for wildlife photography (specifically birds), but not during long hikes, due to inconvenience and weight factors. 2) Tripod Components – What is a Tripod System? Legs – the obvious. Tripod legs are typically made of aluminum, basalt, steel or carbon fiber. Head – the part that holds a digital camera or a lens. There are many different types of heads, but the most popular types are ball-heads and pan-tilt heads. Centerpost/Center Column – a separate leg that runs through the middle, allowing to further raise the tripod head. Feet – good tripods allow changing tripod feet at the end of the legs for indoor and outdoor use. The cheapest tripods have legs with an integrated non-replaceable head and feet and sometimes have a centerpost, while the top-of-the-line tripods have a modular tripod system that have replaceable feet and allow attaching a separate tripod head (the head is typically not included). They are potentially heavy. Although there are lightweight carbon-fiber tripods out there, once you add a tripod head, the setup can become heavy. They are inconvenient. No matter how small and collapsible a tripod is, it still occupies space and is often inconvenient to carry around or travel with. They are difficult to use in crowded environments. They can be expensive. Good tripod systems can cost over $1,000. They can take time to set up, making you miss the best moment. You can easily damage your camera and lens if you do not know how to properly operate a tripod, or if the tripod system is cheap and unstable. The first thing I would look at is how much weight a tripod can support. Many photographers make the mistake of buying a tripod that can only support a few pounds and is not made for heavy camera equipment. What ends up happening is the obvious – at one point or another the whole thing collapses, destroying the camera and the lens. Always make sure that the tripod you want to buy can support at least 1.5 times more than the total weight of your camera and your heaviest lens. I say at least, because I prefer to keep it at around 2x more. Do not forget that you will at times apply pressure on your camera and sometimes even rest your hands on the setup if you are shooting with long lenses, which adds to the weight. You might also add a flash or a battery grip to your camera in the future, or potentially shoot with something heavier, so you have to keep all of that in mind. I always recommend buying a tripod that matches your height, so that you do not have to bend to look into the viewfinder. Once you put your camera on a tripod, the viewfinder should be at your eye level. It is OK if it goes higher than your eye level, because you can always adjust the legs to be shorter. However, if it is much below your eye level, you will find yourself bending all the time, which can be a tiring experience, especially when you are waiting for some kind of action and need to constantly look through the viewfinder. If you are buying a tripod with an attached head, you want the tip of the head to be on your jaw level. If you are buying a modular tripod with a separate head, make sure that the legs end approximately on your shoulder level. Another factor to consider is tripod height when it is folded for easier travel. Do you need it to fit in your carry-on luggage? Mine barely does diagonally, with feet removed, and I take it with me everywhere I go. Weight is a significant factor when choosing a tripod. You do not want your tripod to be too heavy, because you will find yourself leaving it at home, rather than taking it with you on the road. The lightest tripods are made of carbon-fiber material, which is extremely durable, stable and does not rust. While carbon-fiber is the best material for a tripod, it unfortunately comes at a high price tag. The next best construction material is aluminum, which is heavier than carbon fiber. Most cheaper tripods are made of aluminum today. You can also find tripods made of stainless steel, but those are generally used for video equipment and are too heavy for regular use. In terms of total weight, try to keep the tripod legs without the head under 5 pounds. Generally, carbon fiber legs are between 3 and 4 pounds (but can be lighter or heavier depending on what they are made for), while aluminum legs can be between 5 and 6 pounds and heavier, depending on the size and how much weight they can support. Basalt lava legs are somewhere in-between both in terms of weight and cost. 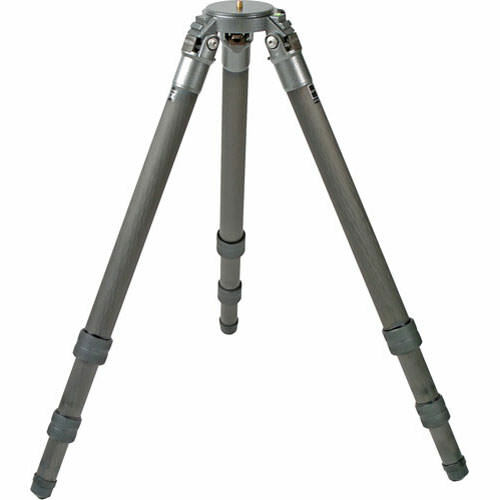 Tripod legs generally come in two forms – tubular and non-tubular. All carbon-fiber legs come in tubular form and have a threaded twist-lock system to secure the legs, while aluminum, basalt and steel tripods might come in different shapes with a flip-lock. Depending on the maximum height of the tripod, there might be between 3 and 5 sections on tripod legs. The more sections, the higher the tripod and generally a little less stable. Some advanced tripods will allow you to replace tripod feet for different conditions and situations – they just unscrew on the bottom of the tripod legs. 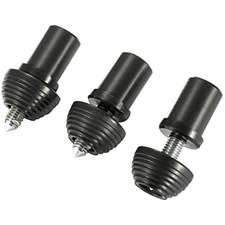 There are different types of tripod feet for indoors (rubber or plastic) and outdoors use (metal spikes). Unless you are planning to shoot in icy, rainy/slippery conditions, the standard rubber feet that come with your tripod should work just fine. Some tripods come with a centerpost – a single leg in the middle of the tripod that allows you to increase or decrease the height of the camera by simply moving the centerpost in upward or downward direction. Although some photographers find it convenient and nice to have, I strongly advice against having a centerpost on a tripod. A centerpost defeats the whole purpose of a tripod – it is essentially the same thing as having a monopod on top of a tripod. 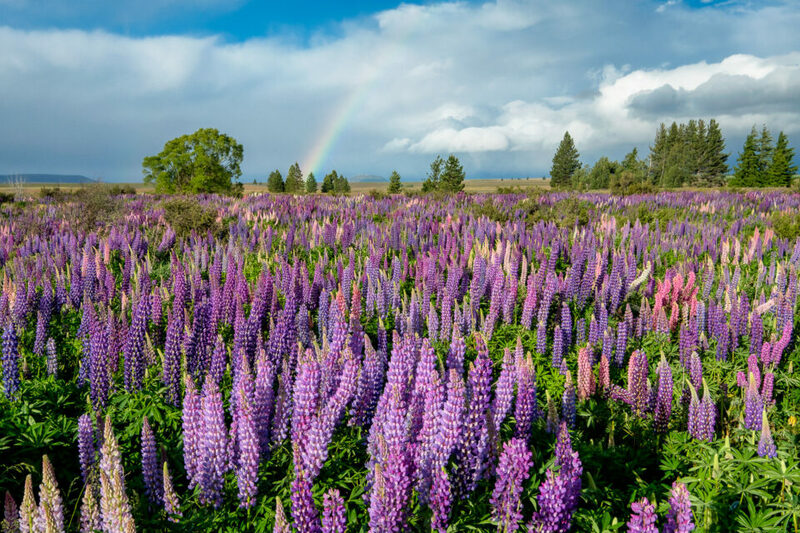 It might not be as pronounced if you are only shooting with a wide-angle lens, but once you set up a long telephoto lens, you will quickly understand that using a centerpost will cause too much vibration. If you still want to get a centerpost for whatever reason, make sure that it can fully decline to the same level as where the tripod legs meet. The centerpost should never wobble at its lowest level. A tripod head is the most essential part of the tripod system. It is responsible for securely holding camera equipment and controlling camera movement. A modular tripod system does not come with a head and you have to buy it separately. When choosing a tripod head, always make sure that it can support at least the same amount of weight your tripod legs can. Pan-Tilt Head – either with a single handle for horizontal movement or dual handles for both horizontal and vertical movement. This is the most common type of head that is typically built into cheaper tripods. Ball-Head – compared to pan-tilt heads, ball-heads only have one control that loosens or tightens the grip. They are very flexible and allow very smooth operation while keeping the camera/lens securely tightened. Gimbal Head – a specialized head for long and heavy 300mm+ lenses. Compared to pan-tilt heads and ball-heads, gimbal heads perfectly balance the camera and heavy lens and are best suited for fast-action photography. They are extremely easy to use in any direction and do not require tightening the head every time the camera/lens moves. I started out with a pan-tilt head and eventually switched over to a ball-head with a quick-release system (see next), due to flexibility and easiness of use. Every modern camera comes with a thread on its bottom that allows you to attach it to a tripod or a monopod (heavy lenses also come with a similar thread on the tripod collar). This threaded system makes it extremely inconvenient to attach cameras and lenses on tripods, because you have to either rotate the camera or the tripod to attach them together. To make it easier and more convenient for photographers, manufacturers came up with a great solution – to attach a small removable plate on the camera or lens, which then can be tightly secured on the tripod head. Cheaper tripods come with a simple plastic plate that can be attached on any camera or lens, while some of the more expensive tripod heads come with a more durable plate. The best quick-release system, however, is the Arca-Swiss Quick Release System. It has more or less become a standard among manufacturers and it has proven to be a very effective solution for quick and easy operation. Compared to plastic plates, the Arca-Swiss Quick Release System is made of very strong aluminum and allows attaching the camera/lens on a tripod without the need to rotate anything. A quick-release plate is permanently attached to a camera or lens, which then easily slides into a quick-release clamp (pictured below). The locking mechanism is simple, yet super tight for a vibration-free operation. The beauty of this system is that some manufacturers like Really Right Stuff and Kirk Enterprises offer not only plates for almost any camera and lens, but also replacement lens tripod collars, flash brackets, L-brackets and other accessories for the Arca-Swiss Quick Release System. The only downside of the Arca-Swiss Quick Release System is that it is not cheap – you also have to purchase separate plates for each camera and lens. A heavy tripod does not always mean that it is stable. There are plenty of tripod systems out there that are heavy and durable, yet lack the much-needed stability when used in various weather conditions. When a tripod is fully set up, it has to withstand not only wind, but also occasional bumps and knocks that might happen in the field. You always need to make sure that your camera and lens balance on a tripod rather than lean towards one direction, because you might end up damaging your equipment if the head is not fully tightened or if the front outweighs the back and everything falls on the ground. 5) Which Tripod Should you Buy? Now that you are familiar with all the criteria for selecting the right tripod, you are probably wondering which tripod you should buy for your photography needs. Since I have numerously gone through the experience of shopping for tripods and have seen others do the same, let me tell you what many photographers end up doing. They first look for the cheapest tripod available that will be good enough to hold their first camera, since they have no idea if they really need it or do not know how often they would be using it. The tripod would cost between $75 and $150 for the legs and the head, which is a good price for a simple tool. Next, they purchase a longer and heavier lens and add more weight to the setup. All of a sudden, they find that the cheap tripod is not good enough and they need something more durable and stable. After making the first mistake, they suddenly realize that they need to do more research and they spend countless hours reading about tripods on different websites and forums. Despite all recommendations from the pros, they are not willing to invest on a top-of-the-line tripod with a good ball-head, so they end up getting a popular tripod system for $300-500 with a separate head. Seems like a great investment and the tripod seems to be much better than the previous one. After a year or two, they realize that their last purchase was not that good, because the tripod is too heavy and hard to use, especially for traveling. They realize that they should have listened to the pros in the beginning and bought a solid tripod system. Does this sound familiar? It certainly does for me, because I went through a similar experience and wasted too much effort and money. Other photographers might have a different story, where they purchased an inexpensive tripod they like in the beginning and they are still happily using it today. All it says about them, is that they are not using their tripods as much and what they have is good enough for occasional use. Anybody who heavily relies on a tripod (especially landscape and architectural photographers) ends up buying two to three different tripods to eventually end up with the best. It seems that it is hard to avoid purchasing multiple tripods, because it is often impossible to justify the cost of a good system to someone who does not heavily use a tripod. If someone told me that I would eventually spend more than $500 on a tripod system when I just got into photography, I would have never believed them – that’s too much money to spend on a darn tripod! But it all turned out to be true, because I actually ended up spending a lot more than $500 overtime, and I wish I could go back in time and buy the right stuff from the very beginning. If you currently do not have a tripod and you want to buy one, get the cheapest aluminum tripod system with an integrated head for less than $150 total. Why do I recommend the cheapest tripod? Because you first need to understand how much you will be using it. Six months down the road you might end up doing other type of photography that does not require a tripod or you might find yourself on a path of becoming a good landscape or macro photographer. A cheap tripod will give you enough information to understand the real role of a tripod in your photography. If you already have a cheap tripod and you want to get something better, save yourself a lot of money and frustration and get the best tripod with an arca-swiss quick release system – skip the middle. Some people buy cheaper legs and heads and either find them too heavy or unstable. One common problem with other quick-release systems, is the fact that cheaper plates do not grip well on cameras and start wiggling and rotating relative to the base, making it a nightmare for things like panoramic photography. My tripod recommendations, based on the above, are divided into two categories: “low-budget” (under $150) and “top of the line” (over $500). Sunpak Ultra 7000 – $59.95. Very cheap, weighs 4.1 pounds (1.9 kg) and can support up to 12.3 pounds (5.6 kg) of total weight. This is very similar to the first tripod I bought for myself from a local camera store. 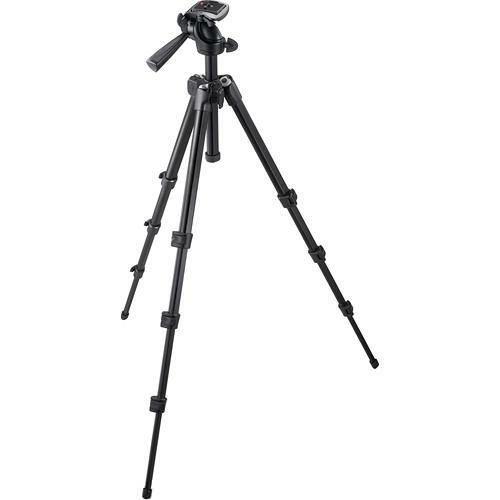 Slik Pro 340DX Tripod (Black) with 3-Way Pan/Tilt Head – $99.95. Although maximum height is too short at only 57.9″ (147 cm), it is very lightweight at 3.5 pounds (1.58 kg) and can support up to 8.8 lbs (4 kg) of total weight. This would be a great tripod to take on long hikes. 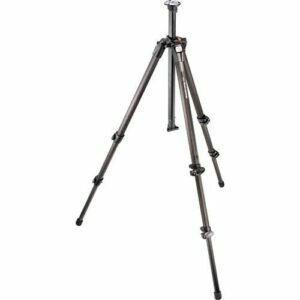 Slik Pro 700DX Tripod with 3-Way Pan/Tilt Head – $139.95. Although it is a little heavy at 7 pounds (3.18 kg), it can support up to 15 pounds (6.8 kg) of total weight and can be extended all the way to 74.8″ (190 cm). Top of the line tripod systems have separate legs and replaceable heads. Let’s start with the tripod legs. The best legs are made of carbon fiber and manufactured by such brands as Gitzo (top choice) and Really Right Stuff. I cannot really recommend a particular model, because you should choose one that fits your height and weight requirements. If you buy Gitzo, their best and most stable line is the “Systematic” 6x Carbon Fiber series without a center column. I personally have an older version of the Gitzo Systematic legs that I have been happily using for years and they have never failed me once. I highly recommend using the Gitzo Configurator to get the best legs for your gear. Arca-Swiss Z1 – $379.95. I have used this ball-head in the past and I really like it. Kirk BH1 – $385.00. An excellent alternative to the Arca-Swiss Z1. Really Right Stuff BH-55 Pro – $415.00. Another great ball-head that is better in quality than the Arca-Swiss Z1 and Kirk BH1. Top choice among many professional photographers. There are many other cheaper and more expensive brands out there that manufacture very solid ball-heads, but I’m not going to list through them all in this article. If you are shooting with long and heavy lenses, your best choice is going to be the Wimberley Gimbal (top choice) or the much smaller Sidekick (requires a solid ball-head to work). One more thing worth noting, is that some of the higher-end tripods sometimes come with a hook under the platform. Those can be useful to hang a backpack or a sandbag for additional stability, but you have to be careful when shooting in windy conditions, as it can move the weight and potentially cause even more camera shake. Remember, with tripods you often get what you pay for! Please let me know if you have any questions in the comments section below. Nice and useful review of tripods, Nasim. A system I have found to very useful is that of Benbo: www.patersonphotographic.com/produ…s-tripods/. These have a very unusual system, in that they have a unique, highly flexible main joint, which allows each leg and the centre post to be independently positioned, allowing the camera to be positioned at almost any angle to the subject. This is especially great for macro work. A further advantage is that the legs are completely sealed to the 1st joint, so you can easily use it in snow or water. While not suitable for a Nikkor 600mm, I have routinely used Benbo Mr 1 with a Linhoff ball-head or Novoflex Monoball when photographing with a Hasselblad or Nikon + 80-200 f2.8 or Nikkor 300mm f4. In fact, I still prefer this unique beast over my Manfrotto carbon tripod, even tnhough it weighs a lot more. It’s just so much more rugged. Pasquier, as always, thanks for the excellent info. The Benbo tripods look very versatile and they seem to be great for macro and other extreme angle photography. My only problem with these types of systems is stability. As soon as you start moving a center column, the setup becomes somewhat unstable when longer glass and very slow shutter speeds are used. But if proper technique is used (mirror lock-up, remote cable release), those vibrations could be minimized to an acceptable level. I’m sure your info will be very useful to other readers! Nasim, I agree. The Benbo in its contorted extended fashion is great when doing macro with a 105mm lens, mirror lock up etc. This is what it was designed for. For longer lenses, I never use an extended centre column, as that is asking for trouble. In this case, the Benbo, non-extended, is rock solid – but it weighs a ton…. However, as mentioned the company has been “taken over” by Patterson. For an “original” Benbo, one should now opt for the Uniloc variant. As a previous owner of retail stores (retired) I always stressed the importance of having the facts about the products and the wants and needs of the customer. All photo equipment sales persons should have your abilities. Thank you for a fine article. I just bought the Gitzo Series 2, Traveler for my Canon EOS Rebel xsi with the regular canon 18-200mm lens…nothing heavy. I start out with the attachment part for the camera screwed on as tight as I can, then slide the camera in, lock it down, and after about 1 hour of about 10 shots, the camera is loose and that attachment to it is no longer secure. Should I be using a heavy duty screw driver or what am I doing wrong? I’ve already lost one lens when the whole camera fell off and crashed to the floor….that incident might have been because I hadn’t locked it down well enough, but I think I’m locking it down now,but just feel that camera loose and take it off to see that it has indeed loosened. Please advise me. There are no Gitzo people in Houston,TX. Great article as always. Thanks again. I did find Thom Hogan article on tripods a good one too. Also, as I was interested in a lightweight travel tripod, I came across this review and it seems to be a great setup for people who want something light and don’t use heavy telephoto lenses. This is a combo of Gitzo 1541T Tripod, Markins Q3T Ballhead w/ RRS B2 LR II Clamp. This can support lenses upto 300 mm.. I read Thom’s articles every once in a while, but I have not seen this one yet. Indeed, it is a great article and it is interesting that I wrote in a similar manner in terms of the way photographers typically shop for a tripod. I guess this painful experience repeats itself all the time and almost every photographer becomes a victim of the same bad process. Thanks for the link – I completely forgot about the Markins ballheads – they are also very durable and are cheaper than other popular brands. I will add it to the list. About the similarity between your and Thom’s article, all I can say is great minds think alike. Thom is posting a lot lately. I guess with all these new Nikon lenses and rumors swirling around, he does need to say something. I agree about the center column. I am a fairly short person (5-7) and I hope that I don’t need to use the center column too often. However for taller users, this may be a problem. It seems Feisol travel tripods are great for tall guys. Thank you for the feedback Avi! Peng, you are most welcome! Thanks for stopping by and dropping a comment. Thanks for putting up a detail recommendation and sharing your experience. Well I must say it is really tough choosing a tripod. Especially for my tall height. Is difficult to get one without the center column. Gitzo is really a choice for many professional. For a start now, I’m looking at Manfrotto 055XPROB. Is aluminium and weigh heavy but it does support my height with center column extended (not full) plus the 8cm distance to viewfinder. Able to support heavy lens of 70-200mm. And it is priced reasonably. I’m still looking at other choices. Do you have any experience with Manfrotto? Dennis, I somehow missed your comment, sorry about that! I am in the same position as Dennis. At 6’10” NOTHING fits me including cars, beds, and tripods. As a rookie, I bought a Manfotto 190xPROB but now I find > 1 online article suggesting the 055xPROB instead as it’s taller at 56′. But with my eyes at around 80″, it’s kinda moot. 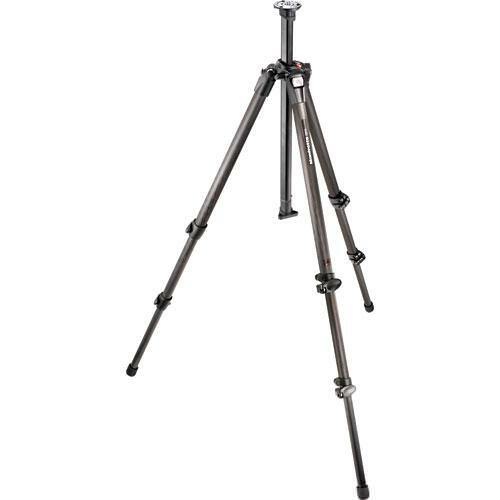 This listing of tripods over 70″ by price: I don’t know about Three-Legged-Thing as a brand but they have an aluminum 3.3lb unit that holds 17.6 lbs and sells for < $200. I my need to unload this 190 because the past few days at Death Valley had me squatting or bend much of the time. I'd like to take your advice and go for a $500 carbon-fiber unit but I just don't have it right now! Thanks for the very well written articles. I know it’s a bit late to reply to this, but I was just browsing the site and came across this article. I’m “only” 6’3″, so I can only imagine the problems you have at 6’10”, but I was in a similar quandary a few years back. I ended up buying a Gitzo 2542L (current version is 2543L), which is a 4-section, carbon-fiber tripod, where the L denotes “long”. It extends to about 70″ with the center column all the way up and about 60″ with it all the way down (which is the only way I ever use it). Even at 5′, the ball head (RRS BH-40) adds about 3″, and then the camera (Nikon D800) adds another 4″ or so, and, of course, your eyeballs are not at the top of your head, it gets me pretty close to eye-level. However, having said all that, what I find I do most of the time when using a tripod is to shorten it considerably and use a right-angle finder, which means looking down instead of horizontally to look through the view-finder. Of course, it depends on what you’re shooting. The RA finder wouldn’t be so good for moving wildlife, I guess, but it’s fine for landscapes, architecture, and so on. I’m gonna buy Slik Pro 340DX Tripod (Black) with 3-Way Pan/Tilt Head this weekend!!! You are most welcome Faiz! I have read numerous posts on your site over the last week and recently ordered my first nikon d5000 with the assistance of all your information. 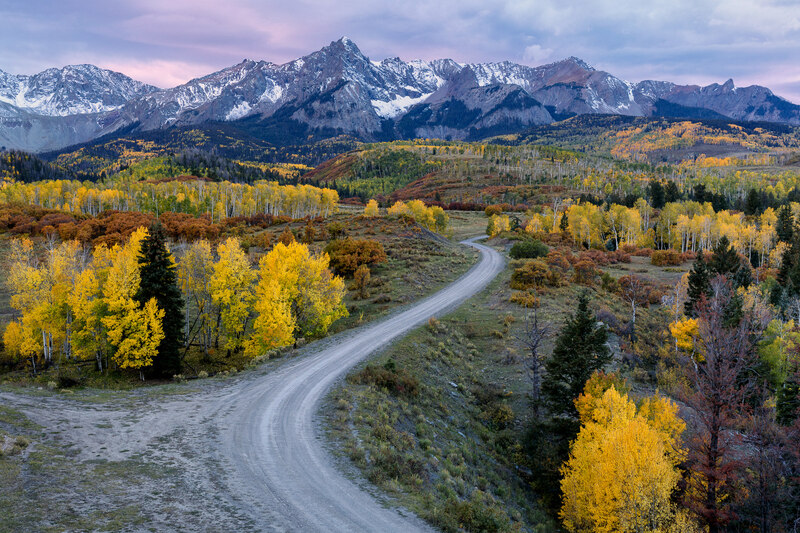 I am very interested in landscape photography and was curious what you think of the rocketfish 65″ carbon fiber tripod. What are the pros/cons to this tripod and do you think its a good one to start out with. I can pick it up for about 100 used or 150 new. 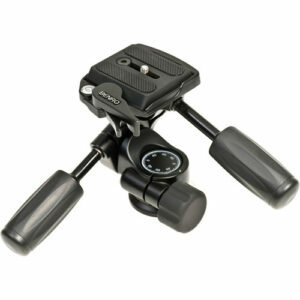 I can also consider Manfrotto’s basic model 055XPROB (Weight: 2.4KG, Load capacity: 8KG) with Manfrotto 496 RC2 ballhead. Marfortto’s tripod and ballhead will cost me approximately twice that of Benro’s. Do you think that I should spend that extra amount and buy Manfrotto’s system? What is your overall impression of Benro? Amit, Benro should work just fine! Thank you for the excellent review on the tripods. Am a newbie to DSLR photography and bought the Benro 600Ex on sale on Amazon. My camera is Sony SLT A58M with the Sony SAM 18-135 lens. I want to shoot photos of handmade jewelry and of my kids in low light. Can this Tripod meet my requirments? Alejack, I personally don’t use monopods as much, although I have one from Manfrotto. Just make sure that whatever monopod you are buying can handle the weight you are putting on it and you will be good to go. Carbon fiber monopods are obviously preferred due to lighter weight, but will be more expensive. I am in search for the holy grail of tripods and hope you can help me out. I am looking for a tripod that is 1) sturdy (I have the D7000 and the 16-85mm, looking to buy a telephoto lens sometime in the future), 2) portable (preferably with folded length < 22'' so it can fit inside my carryon when travelling and also so it fits well on my Kata 3n1 (thanks for the suggestion it works perfectly! )), and 3) have a relatively tall max height since I am 6 feet tall. I know I will probably have to sacrifice max height in order to meet the portability requirement and I don't much hunching over a little bit. Any suggestions would be greatly appreciated! Thanks! Please keep posting these how-to guides, I've learned so much from reading your website. I just glanced upon this site and this article. I recommend and second getting the best tripod your money can buy. In the long run you will save money rather than climbing up the tripod ladder and having a whole bunch of lesser tripods no one will take off your hands. Useful article as always – your website is ‘heaven sent’ for image makers across the globe! If I had to also get a monopod what would be your suggestion pls (some safari vehicles in India are small and we do not always get space for tripod)? Amartya, I apologize for such a late response, I hope your trip was fruitful. For the 200-400mm, I would get a Gitzo CF tripod without a center post with a gimbal head from Wimberley or Jobu Design (plus arca-swiss adapters). Either one will work great. That’s the ideal setup. As for a monopod, any metal or CF monopod should work. You will probably have to purchase a separate head for that, since using a gimbal on a monopod is not going to work. I love your reviews. They are helping me a lot to get started in a very exciting new hobby! After a few months reading them, here I go with my first comment/question. I am about to buy my first tripod and I want to do things right. I want it to be my tripod for ever. I know that I will not be shooting on lenses of more than 300 mm. The main advantage of carbon fiber tripods is the gain of weight, but I do not see this issue to justify the very high extra value that it commands. This is why I am going for an aluminum tripod. I like the GT2341L but it is not a Systematic and it thus has a center column. I am thinking that if I keep it down, it should be the same as having no center column at all. Am I right? What disadvantages do you see on this tripod? Also, I would like to know your opinion about Gitzo’s ball-heads. To my mind, it seems logical to get such a ball with a Gitzo’s tripod but experts mostly talk about Arca-Swiss. I would like to have your point of view on this too. FR, I apologize for a late response – somehow missed your comment. I personally would not get a tripod with a center column. I know some people will swear by their gitzo tripods that have a center post, but from my experience, it is just another variable that can potentially introduce camera shake. I would get a systematic for the most stability, especially when using gimbal-type heads. Don’t get tripod heads from Gitzo. Your best bet is to get a ball-head from Arca-Swiss (Monoball Z1 is the one I use and love). You will have to buy arca-swiss adapters for your cameras and long lenses, but it is totally worth it. You are most welcome Vicki! Thanks for your excellent and systematic review. It’s very helpful to me in making a first selection as indeed the number of tripods on the market is overwhelming! My current equipment is not yet that heavy (Canon 50D+grip, heaviest lens is a 70-400/4), but I want to take eventual future heavier lenses into account when buying the tripod. 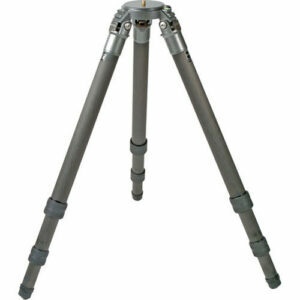 From practical experience, could you give your opinion on the following aspects of these tripods? Unfortunately still I have no experience with this myself. –	In how far is it really a problem to have to bend down? So how important is it really to be able to have the camera at eye level? Back- / neck problems? But isn’t it in most cases the composition that determines the height of the camera rather than eye level? Thus: would I actually really use the extra height of the XLS model in practice? – would it be possible that the XLS is less stable than the shorter models, because of its longer legs? – Or would it simply be enough for me to select one of the shorter models? –	Is a 5-series only needed for the heaviest super-tele’s? Which are considerations for selecting a 5-series versus a 3-series (or vice versa)? –	The 5-series is heavier and thicker than the 3-series. In how far do you experience this as a disadvantage on e.g. long walks? c.	3 or 4 leg sections? –	Are tripods with 3 leg sections really more stable than those with 4 sections? I could understand this from a theoretical perspective, but who can comment on this based on practical experience? And don’t worry about stability – 4 legs does not necessarily mean that your tripod will be less stable. You will get more shake from you pressing the shutter button than from tripod legs. I shot with both 3 legs and 4 legs and I could see no difference in performance. Those carbon fiber legs are very tough! Thanks for the extremely fast and clear reply! This is really useful as I have no experience with it. It takes away several of my doubts about the XLS – also in relation to the other options. So this is a leap forward in my decision process. I think I indeed wil go for the XLS. Will go to a store tomorrow to actually try it, and let you know the outcome :). Currently I am using a Novoflex Magicball Ballhead, which is easier to get here in Germany as it is produced here (so far it works just fine for me). So just out of interest: Have you ever tried one of these and do you purposely not recommend it? Just bought the XSL. It’s huge and very sturdy! The 5-series is a beast… quite heavy and think (but REALLY stable), and indeed, as you suggested, much more than I woudl really need. Thanks again for the advise. Great site AND support! Thanks Again Nasim, for the advise on the feet. I’ll keep an eye on that! And for the ballhead I think of an Arca Swiss Z1. Alternative would probably be the RRS BH 55, but that’s about 20-25% more expensive than the Arca (here in The Netherlands). Any thoughts on this choice? Went to the store today and compared the Arca with the BH 55. The latter seems also quite good to me, but I went for the Arca. Now I have a rock-solid set! Thanks for your comments; great site – great advise! Great Article Nasim! I would be one of those people who disagree with you about being able to change the feet of a tripod. It is nice to be able to use the spikes when I am shooting in a mossy or wet surface where the feet tend to slide on me, and then use the same tripod with out spikes the next day on a hardwood floor without damaging the floor. I went back and modified the article a little though! Leg wraps, Titanium spikes, Markins Ball head of choice “I chose the Q-20” and a protective cover for the ball head. This system is a dream. The sweet spot on my Markins Q-20 is a joy to use. Once dialed in, the camera/lens remain where you point it, no wobble, no slip, unlike my previous system. It was well worth evey penny. You are most welcome Michael! You got yourself a very nice pro system that will last forever. I took into account what you said and ended up getting a Vanguard Alta Pro 263AB 100. It was on sale for $100 bucks (normally priced twice that). Even though its not CF, the aluminum structure including the ball head weighs only 5.38 lbs. This is a great starter tripod for a newbie like myself. Jeff, sounds like you got a good tripod at a great price, congratulations! I wanted to ask what tripod should I buy for my d7000 with an 18-200vrII lens. I originally bought a $20 tripod for my d5100 with the 18-55kit lens but now i feel that is too flimsy for my d7k with the 18-200. My price range is at most $75. Ravin, I believe I have provided recommendations in the above article for picking a tripod based on your budget. Nasim, thank you very much for taking the time to produce this excellent article. I am looking at purchasing a new tripod and would appreciate receiving your recommendations on a unit that lies between the $150.00 and $500.00 categories. I want a “good” all purpose tripod that will accommodate diffent type of photography including landscape, portraiture etc. I am 7 foot 7 1/2 inches tall and currently have a tripod with a centre post. My current tripod has snap down clamps to hold the three different lengths to the legs but I find now that some of them tend to sliip. Mind you the tripod is over 20 years old so I really have nothing to complain about. Your recommendations would be truly appreciated. Michael, I am afraid my recommendation would fall out of your price range…most tripods under $500 will be very similar to what you have right now, with a center column. I am in a great dillema over Benro A2970/80F + Manfrotto 496RC2 and Vanguard Alta Pro 263 AB/GH 100. Please advise (considering that Benro comes with a 10kg load capacity and Vanguard is a TIPA awardee). Wow u are so lucky to be that tall!! Great article. What I was wanting to ask, is your view on the tripods and ball heads from vanguard, particularly the Alta Pro series. I particularly likes them because they have a tilting central colum and also provide low angles for shooting. Since I do a lot of macro nature shots of insects, spider, flowers etc, I was considering that tripod. Would like to know your thoughts on it and if you would recommend it. I’m looking to purchase a tripod for my DSLR at the moment and I found your article very useful. After reading it, I have decided I would like to buy a tripod without an extendable centre column. The problem is, I’m having trouble finding one that is tall enough. The height at my chin is approx. 165 cm. Would you be able to recommend a good tripod that would suit my height? I happened to read your comment. 165cm is not an issue. For example, manfrotto 055xprob has max. height of 178cm. And vanguard alta pro 263at has a max height of 168cm. On top of this you shall obviously mount a head, probably a ball head which roughly adds 5-7cm of height .. and upon you mounting the camera, the effective height increases by a total of 12-14cm above the max height if the tripod. You should easily be able to look through the viewfinder without having to bend. Thanks for your advice. I ended up getting a tripod from 3 Legged Thing which easily matches my height. It’s only since getting a DSLR that I’ve fully appreciated how useful a tripod is and how important it is to get the right one. I just came across your website researching tripods and I am excited to learn more from your well composed articles. I am a semi pro and this will be my second tripod, my first being a very cheap Dolica which has treated me well. I am considering purchasing the Manfrotto 055xProb for a product shoot job that I recently acquired. I chose the 055xprob due to the horizontal arm, price, and reputation of the Manfrotto brand. I am using a Canon 7D with 100 mm 2.8f Macro Lens. If you have any advice I would be pleased to hear from you. On a second note, what is the advantage of ball heads in your opinion? I have only used a pan head before but I have not really developed a preference. I would appreciate a head recommendation for the 055xprob as well. Thanks for your time and keep up the good work! A really good, logical presentation of the basic information needed to choose a tripod. I have tried to expand on this information at www.chooseatripod.com where I am gathering a product database, reviews, and news related to choosing and using a tripod. Please check it out! WOW, great info about tripods, wish i knew this two tripods ago. But where do you purchase these products. Best Buys and local camera stores don’t stock these brands mentioned. I have a Nikon 300mm lens, and a heavy Nikon camera too. Thank You for the great info. Thank you for the reviews. I have a tendency to read and trust your reviews more than anything else on the website. I especially like that you keep your content current. You recommend several tripods. At this point, I don’t know how much I will use the tripod so am leaning toward buying a basic setup to start and once I know how much I will use it, upgrading. Specifically, you like the Slik700DX and the Oben 1410. They are nearly the same price and both come with a head. Which do you think is the better option? Ease of use is the most important factor with stability a close second. I don’t see myself hiking with the tripo and instead using it at home to take pictures of my family. So weight is less of a concern at this point. I would have bought the SLIK based on your recommendation, but then recently you bought the OBEN foryouself which confused me! Thanks!! Thank you for yet another incredibly informative article. Of all the ones I have read so far on choosing tripods (quite a number), yours by far is the best one in terms of giving me great advice. I learn something from your website just about every day. Thanks again for sharing your vast knowledge! I just read your excellent article on tripods. May I ask you for helping me out. I am looking to use the tripod for 400mm 5.6L lens primarily. I will use it mostly for wildlife. Which one you suggest. I am an amateur trying to be semi-pro. I own a Canon 7D, 11-16mm, 18-55mm, 70-300mm, 400mm lens. I also have a light and medium tripod ( Dynatran, i bought it on ebay for 6 bucks in 2005 ). Hi, Nasim! I like your review. I would like to buy my first tripod. Do you have a suggestion for Sony A77? Do you suggest getting a monopod? Last year, I went to an air show and monopod seems good in that scenario. hi dear, i have little money around $80. can you please advise which tripod can i buy. i have a d3100 and 50-200 lens. Hello Nasim, I am at my wits end. I purchased a Nikon 400/2.8VR lens from Australia (pre used),try as I might is is very difficult to obtain crisp images. I feel the culprit is my old Benbo alloy tripod. Hello Nasim ,thanks for the great article ! Ipurchased a sony A700 i am planing to buy a tripod but i am a beginer i do not know much abut the tripods .will i be abel to use any tripod for my camera or do I have to buy a specific one . I wonder the same for ball heads . I was wonderin if you can help me . You pretty much nailed all the aspects of tripod selection – great job! I like the advice of starting cheap as you don’t know how much you will use it. It will also highlight the particular shortcomings that you want to fix with an upgrade, whether that is the weight, the head movements, etc. Great article.I read the article on my i phone on way for shopping a tripod for my D-90 and that 30 minutes of travel to the mall changed my mind in terms of features, specs,brands & budget of a tripod for me .I couldn’t accept a single piece there and returned home for a fresh approach on the buy at an appropriate showroom.Thanks Nasim for saving me from the frustration of an underperforming Tripod. Nice and very useful review for me. as i am thinking to purchase a good tipod for my camera. Nasim : Your write up was extremely good. I use a Rollie Carbon Fiber Tripod with ball head and quick release system as shown in your article. The problem with this one and many other I have seen is, if I want to take photo in portrait mode, the camera starts slipping down (drooping down) due to weight of the lens. This happens to me mostly when I use my D800E with 24-70 lens. I can use my 70-200 lens comfortably. 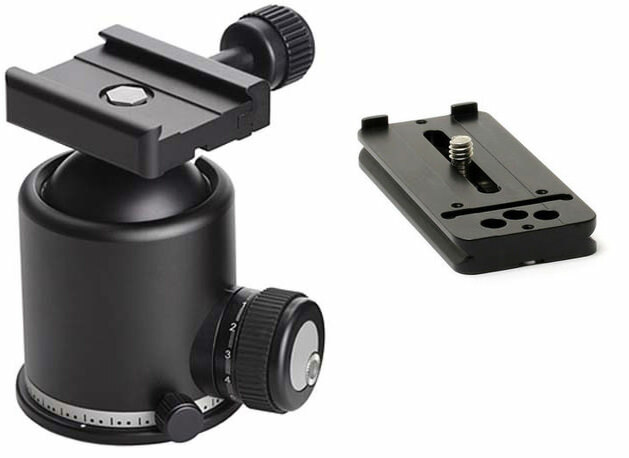 The plate of Arca-Swiss Z1 Tripod head shown in your article above is having two stoppers on one side, which will prevent the camera from drooping down while in portrait mode. I would suggest you to include this point for whoever reads this article and decide to go in for a tripod. Reading this article and seeing the mentioned plate , I realise that a remedy is available for the problem I am facing, and now I will go for this particular ball head, if available in Singapore. I just purchased my first DSLR and I’m looking for an inexpensive tripod, so I can take our own family pictures. I would like a tripod with a remote. Are there any you can recommend? The only one I was able to see in a local store was the ProMaster. It is very compact and appeared solid. Just the article I was looking for. I plan on taking your advice as I am an amatuer photographer who takes lots of landscape and architectural photos. Since this is my passion have choosen the high end vs low end when it comes to the equipment I use. Thanks so much for the info, I’m spending so much more time looking for a suitable tripod, than compared to buying a new camera! Your article clarify so many things I’m confused about when it comes to what makes a good tripod, so thanks again! Hi, i am currently thinking of getting a tripod for my camera. I have a sony NEX F3 camera and i am currently traveling. So a tall tripod is pretty much out of the question. I have seen tripods that can be clamped but not sure if i could trust them? Thank you for yet another great and very article – wish I had read it much earlier, that could have saved me a lot of money. Now I have a GT3541L, a Kirk BH-1 and a Wimblerly sidekick coming my way, after a trip down the trial and error road..
One thing I would like to mention, although I have not yet verified it yet myself. worlds – so you can use the center column with short lenses and for macro if you like, and remove the center column for long lens usage. That is pretty handy and supposed to work without using tools for the change. Thanks for a great article and great advice. NOW I feel ready to go buy a tripod. Best Wishes. I like your generous and informative articles. I am a little surprised that you or anyone else have not mentioned the “INDURO” tripods and ball heads or gimbal heads. They are just as good or even better quality than even Gitzo. While they aren’t cheap,price wise, they cost much less than Gitzo. Check out the (carbon fibre) CT314 tripod with the BDH3 ball head and Benro short column for supporting a D700 w/battery grip using a 70-200 2.8 VRII or the 300 F/4 lenses for someone who is 5’9″ in height. I would like to hear your thoughts on that? Thank you. This article was very helpful! I was interested in your opinion on the Kirk BH-3 vs the BH-1. Do you know what the differences are? The obvious one I saw was the weight capacity. I plan on sticking with the same camera body for a while and my lenses that I do have so far do not weigh much. I cant see myself going over the 15 lbs anytime soon. Do you think the BH-3 would be a good alternative for me? Save a few bucks? I would like to invesr in a Tripod and head for Bird photography. I need you guidance and it should be a good on and not costlier. My equipments are Nikon D4 + 200-400f4. I stumbled across this article while reading the Nikon 70-200 f4 review. Thought I would mention the tripod I have that I understand B and H now sell. Its called Three Legged Thing and their range is named after rock guitarists. Mine is a 3LT x2 Eddie ( as in Van Halen). It fits into my cabin luggage by removing the head, it is not as tall as me but I like to take my shots at the lower angle to help differentiate my work. One neat feature is that the leg assembly can be adapted so that one of the legs may be used as a monopod. Nasim, great site keep up the good work. I have had the tripod for 18 months. It been to Utah canyons and up to Yellowstone. I had an issue with it after the first year and was delighted to discover it had a 5 year warranty in the UK. Not sure about warranty in US. The UK based company fixed and returned it to me in about a week. Nasim – Do you have any experience with the Acratech Ballheads, in particular their GP series that you can convey any information on? Has anyone from Photography Life tried or tested them. They quite interest me and I am interested to know if anyone has had positive experience with them. Thanks for any info you can provide. Yes, nice article with plenty of thoughts, to consider. Interesting and helpful info. I recently made a major investment in a new Nikon DSLR camera & equipment and needed a better solution to the tripod dilemma. The D800 with telephoto lens and SB-910 speed light is pretty heavy. Making hand held photography nearly impossible, at least for any length of time. I found the Vanguard line of tripods and grip heads to be pretty cost effective, especially now, with plenty of new stock being delivered to the stores. buying certain tripods, you get a free ball grip head. I ended up buying a tripod that came with a complimentary head, and for a measly $15.99 handling, fee for a mail in, you get a free second ball grip head free. Such high quality manufacture and awesome designed products. I feel very confident my expensive photography gear will always be safe and free from danger of getting knocked over or blown asunder by the spirited wind gusting freely between her sturdy legs. Enjoy which ever safe and sound stand you decide to plant your trusty photo gear upon. I need your help in buying a tripod which would suite my point & shoot as well a DSLR. Looking forward for your valubale suggestions. Hi Nasim. I found and read your review of tripods which is very helpful. I have purchased a Nikkor AF-S 400 mm F2.8G VR for my Nikon D300 which is a heavy lens, and quite large, for wildlife photography. My current tripod is too small to support the lens. Would you recommend the Wimberley Gimbal or King Cobra still, and what tripod legs would be best for a lens like this? I might hunt around in eBay. Would the Sunpak Ultra 757TM Tripod work for my canon rebel dslr camera? What brand of tripod is the best benro or vanguard? How I can buy the good tripod? I have DSLR canon eos1100d, lens ef-m 18-55, lens ef 75-300 and flash speedlite 270 exII. Please help me and give some advice for the quality of the tripod. As a new photographer who just spent the last 5 hours scouring all possible forums on the internet to try to understand the best advice in this whole tripod business…. your review is a godsend. Thank you for spending the time to write a detailed description and recommendation… VERY helpful. I always refer to your videos on youtube and forum for any clarity on photography. I am an enthusiastic amateur who shoots with a Nikon D800, with both wide angle and telephoto zooms. I mainly do landscapes, and birds as well. Which combination of tripod and ball head would you recommend? Great informative advice for tripod seekers. Thank you for taking the time to explain it all. I totally agree, having a stable ridged tripod is the key to great images. Funny thing is, only serious photographers will get the best tripod, and the masses are content with the less expensive offerings. I myself always use a tripod whenever I go out shooting. It’s not the most expensive, nor is it carbon fiber, but it gets the job done. And, I tested the camera flat out on the concrete with weight over the camera, and the image quality was no different than using the tripod. Nevertheless, there’s a current trend of lightweight compact tripod on the market. Seems a lot of people go for the light weight & compact, and will pay $200 to $500+ for that convenience. However, I have yet to find any of those compact travel tripod (with 4 or 5 section carbon fiber legs) that can reasonably support a DSLR with wide angle lens when extended to barely 5 feet. They all seem flimsy. The question I have is, does anyone have experience using the 3 Legged Thing Tony tripod. It only has 3 aluminum leg sections and is rated to support 26 lbs. I know it’s not the “BEST” tripod. But, it’ll fit my photography needs. Thanks. Thank you for writing this! Its heaven sent! I have no idea what to get! I do travel and hike, I’m quite a small person so i can only carry so much. I have been looking at Vanguard carbon fibre legs. Could you perhaps tell me what kind of head i could attach to Vanguard legs?Thank you! Super Helpful Post!!!! Thanks so much for this! I was definitely lost on buying my first tripod for my Nikon D610 and this post has provided me with everything I need to make a good choice! Thanks for a great article. I have two concerns. One is Don’t you think Center-post/Center Column is also important to the photographers for studio work, macro-close up kind product photography and any kind of “COPY WORK” (copy from album photo, book) because there you can use that center column as a horizontal position (not as usual vertical position) to keep camera sensor plane horizontal to the table/flat surface. also helps to do macro work in ground field that need top view. Second is you didn’t mention Brand Manfrotto. is it not good? currently i am using two Tipod. One Heavy other Lightweight. I love the way you organise your thoughts and experiences in such simple way. It is definitely easy to follow and won’t require much effort to read as compare to some other articles. Very helpful advise! Hi to everyone! Nasim thank you for this great and useful topic. How about, for example, Sirui? Carbon legs, excellent reviews on sites like dpreview.And the price is 2-3 times lower than Gitzo. What set will be better? The heavy (1.8kg + 0.5kg head) and high (~ 140cm without the column / pillar to 160cm) or lighter (1.1kg + 0.3kg), but lower (130cm / 148сm). Withstand the weight of 18kg (the first set) and 12kg (the second), that is more of your recommendations in twice. I’m 188 cm tall. I use Nikon D750. Huh, very enlightening article. I’m on the market for a tripod and had no idea where to begin – this was very helpful. I knew a cheap one wouldn’t do – I had the “pleasure” of trying a friend’s cheap tripod and it’s completely useless, a waste of space. The entire things is so unstable, and the head is just dreadful, completely unsuitable for the purpose. So I kinda got the idea that a better one will probably cost me, but these price tags are eye-watering. What exactly costs THIS much in a tripod, I wonder…? I mean, for $1000 you can buy a camera… Hard to imagine that producing three legs and stable/sturdy locks and joints costs the same as producing an image sensor, some basic lens, and a camera body. Hello, I question whether it is worthwhile to choose a cheap tripods. Many have heard that they are not good www.open-youweb.com/tani-…ry-opinia/ whether it is worth risking something like that and it may be better to buy something better? I recently bought Canon D-7000 and i have an offer to get Sunpak Tripod Maximum Height 132.1cm, 5200D. Need to know from you guys that is this the right decision or workable on D-7000?? My advice is the important thing, as we suggested at the beginning, is to find a time to compare live the machines that we have selected. If there is a salesperson who looks to figure it out, the better. For the actual purchase of their options you are different: shop specializing in photographic material, electronics supermarket, e-commerce. The shops that sell online often offer deals, promotions, and savings. Before buying, however, it is advisable to ensure the reliability of the company, the effective presence of the product in stock, the services that allow you to check your order status and shipment. And then, hotline, guarantees, secures transactions. Also eye the contents of the packages, the type of collateral and the manual language. It might not be Italian and it is not always you can download it from the Internet. Hi Nasim, Thanks a lot for this very insightful article on tripods. I have a Nikon D7000 with an 18-200 Sigma and the kit lens. I am looking for medium priced tripod and have zeroed in on Benro iT15 or iT25. Can you please advice on these. I am interested in them as they legs that can go full flat and removable central column. they are retailing in India for about 8K and 11K respectively. I am game to look at other brands with similar functions. Would like some inputs from you. Thanks in advance. Obrigado Nasim, for this article. I’m a DSLR beginner and also have a Nikon D7000 (like Ramki), but with a 18-140 and an 55-300 Nikon lens. I’ll follow your recommendation, starting at a low-budget tripods and see what happens. As an engineer, I need to be convinced with actual stability data before I go out and shell $150-$800 for a tripod when a $50 one will do. I have searched the internet for that kind of comparison, but I have not found anything except glorified opinions. Can anyone lead me to any unbiased field usage comparisons? My current tripod is the Vanguard Espod CX234ap, a $50 one that seems to be well constructed and sturdy for a camera set up less than 7 lbs. Firstly, thank you very much for your informative and very helpful article! I have just started the seemingly lengthy process of researching the best tripod for my needs. I have just upgraded my kit from the Nikon D5500 to the Nikon D810. And have of course found that my old Manfrotto Tripod with ball head is nowhere near strong enough to support my Nikon D810 and Nikon 24-70mm lens. The combined weight is about 4.5 pounds. I am in the UK, and primarily photograph trees. 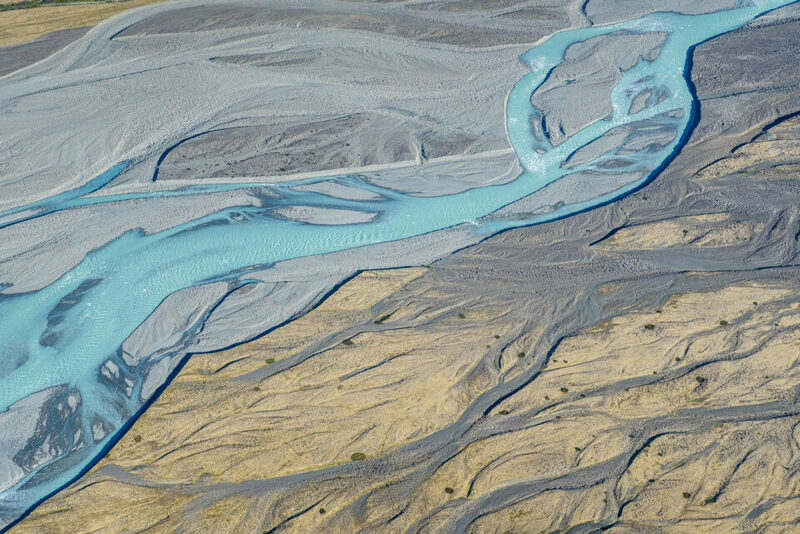 The terrain can be uneven, usually fields. I will mainly be using the camera and lens in landscape orientation, but sometimes would like to use them in portrait too. Ideally I don’t want to break the bank, but at the same I don’t want kit thats going to break and need to be replaced, wasting more money in the long term. What tripod setup would you recommend for me? Would the Slik 340DX Pro be good enough? I imagine this 24-70 lens will be the heaviest I will use for quite some time. So I am not too concerned about supporting any more weight than this current setup. Great article. I’m wondering if you could give me advice for my camera and use (I do have another lens but I’m not sure if or how relevant that is – if it is potentially relevant I will certainly respond). The camera is the Canon EOS T3 Rebel 1100D. I do enjoy photography but I don’t get out much so I don’t really have a use for a tripod very often. I can’t say I wouldn’t like one at times but it’s rare enough where I think I would go with a cheaper option. If I wanted to record (video) a short (most likely ~5 minutes and no more than 15 minutes but I largely suspect closer to 5). It would be on a mostly flat surface although it will (weather dependent) possibly be outside on potentially not so flat surface (but I’ll have to see when I’m there – if necessary I would choose a flatter surface and be done with it). Would the Sunpak Ultra 7000 Tri-Monopod suffice for this? Do you have any idea (I don’t know if you know specifics of the camera in question but besides wiki – en.wikipedia.org/wiki/…_EOS_1100D – there is an article on it at www.cameralabs.com/canon…_t3_1100d/ which seems pretty detailed). I was looking also at Manfrotto and specifically one of: www.manfrotto.us/compa…head-black and www.manfrotto.us/compa…head-black and if you think either of these would suffice that would be really convenient as there is a shop around here which sells both. My concern was to do with the centre as you talk about it being a bad thing. It doesn’t look like it has a fifth leg but what throws me is the words ‘Centre column’ and ‘rapid’. Is that the same thing? Thanks a lot (for the article too). Great article . Your advice on buying quality one time vs spending less and not being satisfied makes sense ..
What a well written,and informative article. I am much better prepared now,to take the plunge,than before. One thing about tripods with no center column: you will have difficulty putting your camera into portrait orientation, unless you get an ‘L plate’. These can be inexpensive, generic versions, or more expensive ones customized to your particular camera body. The generic ones rely on friction to hold against rotational motion, whereas the custom ones use, typically, a flange that fits against the lower part of the front or rear vertical part of the camera body, also, the custom ones are more likely to have cutouts so you can get at all the ports on your camera. I’d suggest starting with an inexpensive generic one and seeing if you need more stability. Should I look for a tripod leg with a bubble level when choosing a tripod? Now I have a better understanding of my tripod needs. I bought a Gitzo Mountaineer a couple of months ago and it failed after 2 weeks of light use (one leg could not be extended fully anymore, replaceable leg tip had magically disappeared from the tripod). That thing cost me over €700, my most expensive tripod ever and the least durable ever, too. Turned out that I wasn’t the only one having these issues, needless to say I didn’t keep the Gitzo but continued shooting on my Manfrotto 190go. Although the Gitzo looked and felt sturdy and well-built it was awkward to operate. I tried hard to like it, but when that leg locked up in the middle of a shoot, that was it for me then and there. The 190go broke the other day and will be replaced by an Induro CLT-404L next week. How do you like your induro,Thorsten? I’m considering the GIT-304L. Boy, do I see myself in this…..great article. Guys, listen to what he said, spend a few hundred bucks more and go for a good one but here is what I would recommend : invest 1,000$, I know outch….use it and then decide. If you feel it is too much, sell it. A good tripod such a Gitzo will give you 80% of your investment in return if you sell it within a year which is overall not a big loss considering that if you like it, you will save a lot of $$ because you will do what I did. First at 150, second at 450 and finished with a Gitzo at 850 total of 1450$. If I had listened ?? Canon DSLRs are great cameras to shoot with but I do need to ask myself why I need a professional tripod before I buy one so that I’ll know what to buy. I should also probably research on tripod components such as the ones you mentioned so that I’ll know what works best for my photography visuals. If I look for tripods from a good online store, I’ll be able to tell how heavy the weight rating is for the camera model I have.